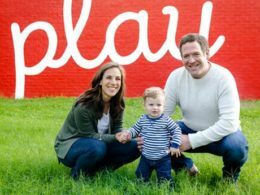 Phil and Adam Loewy are the lead donors on the Loewy Family Playground, which is set to break ground in Northwest Hills in 2019. The playground will be located near the Murchison Pool. This will be the first new playground built in Northwest Hills in the past 40 years and the first one located west of MoPac. The Austin Center for Grief & Loss provides services to individuals and families who have experienced a loss due to the death of a loved one from illness, miscarriage, accident, suicide, or violence; along with those who have experienced loss due to divorce or separation. 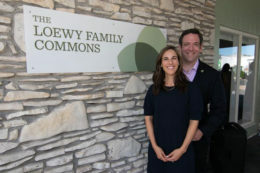 Phil and Adam Loewy have donated over $70,000+ to this amazing organization and recently named one of the buildings on site, which is now called the Loewy Family Commons. Adam and Phil Loewy are longtime supporters of the Jewish Federation of Austin and have donated over $300,000 to the organization. In 2018, the Loewys made a $100,000 gift to the annual campaign – the largest single donor gift in the campaign’s history. 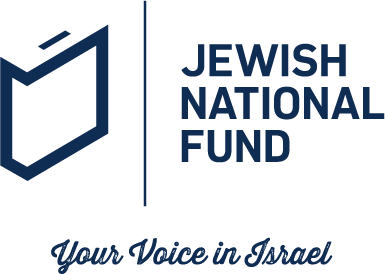 The Federation supports and strengthens Jewish life in Austin, Israel and around the world. In 2017, Adam was awarded the Joe Krassner Campaign Leadership Award for his efforts on behalf of the Federation. 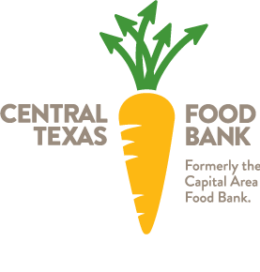 Adam Loewy has donated over $100,000 and has raised an additional $200,000+ for the Central Texas Food Bank. From 2016 to 2018, the Loewy Law Firm did a $25,000 Match Gift to the Food Bank. This wonderful organization strives to lead the community in ending hunger. We are proud to support their efforts. 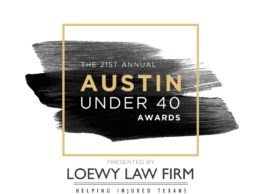 This year, Loewy Law Firm is the title sponsor for the Austin Under 40 Awards on May 18th at the JW Marriott. Austin Under 40 celebrates the emerging leaders in Austin in 16 categories. This annual event of over 800+ attendees benefits the Austin Young Women’s Alliance Foundation and the Austin Sunshine Camps. Since 1928, the Austin Sunshine Camps have provided free summer camp opportunities for low income children in the Austin area. In 2019, Phil and Adam Loewy donated $50,000 to this wonderful organization. The Loewy Law Firm is also the title sponsor of the Austin Under 40 Awards, which raises money for the Sunshine Camps. 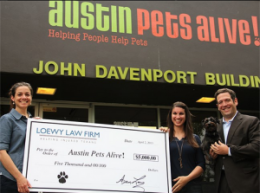 The Loewy Law Firm has donated over $40,000 to animal rescue groups which work to make Austin a ‘no kill’ city. We have made major contributions to Austin Pets Alive!, Austin Lost and Found Pets, and Lucky Lab Rescue. We also proudly rescued a ‘schnoodle’ named Winston in 2011. Adam Loewy and his wife Phil are active supporters of the Texas Book Festival. The Book Festival is annual event in Austin bringing acclaimed authors to the city for a festive weekend. The Book Festival also promotes reading literacy for our youth with its Reading Rock Starts Program. The Loewys have donated over $40,000 to this wonderful organization and Phil Loewy is a long-term volunteer and member of the Board of Advisors. 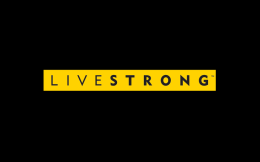 Adam Loewy is a proud supporter of LiveStrong, an organization that actively helps cancer patients navigate the world of dealing with cancer. Adam has donated over $30,000 to the group and is a member of the President’s Circle. Adam’s involvement in LiveStrong was highlighted on a KXAN news story in 2014. Phil and Adam Loewy are active supporters of the Fertility Foundation of Texas and have donated over $40,000+ to financially help couples who are seeking IVF treatment. Phil Loewy is a member of the Foundation’s Board of Directors. Phil and Adam Loewy created the Tree of Life Grant in 2017. The Grant is designed to alleviate some of the financial and emotional stress created by infertility, to raise awareness about infertility, and to celebrate the gift of life. 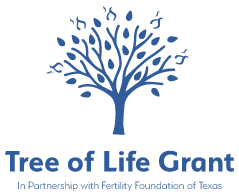 This grant is in partnership with Fertility Foundation of Texas but is designated specifically for Jewish couples who need to undergo IVF treatment. For more information, visit the Tree of Life Grant site. Adam Loewy has donated over $40,000 to Texas Hillel, an organization committed to enriching the lives of Jewish students at UT-Austin. The organization focuses on leadership training, pursuing social justice and providing positive social outlets for students. Adam is also on the Board of Directors of Texas Hillel. 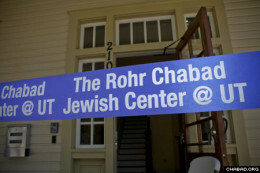 Adam Loewy has donated over $40,000 to the Chabad Jewish Student Center at the University of Texas. Led by Rabbi Zev Johnson, the Chabad House strengthens Jewish identity on the UT campus and works to educate all students on Jewish history, the importance of Israel, and Holocaust awareness. Adam Loewy donated $50,000 to Evelyn’s House in St. Louis. Evelyn’s House is an extraordinary hospice care facility. The doctors and nurses took wonderful care of Adam’s late father, Arthur Loewy, in his final weeks in 2017. We are very proud to support Dr. Patrick White and his entire team at Evelyn’s House! Adam Loewy endowed the Loewy Family Scholarship at his undergraduate alma mater, the University of Wisconsin-Madison. The $50,000 scholarship provides financial aid for underprivileged students to attend college. 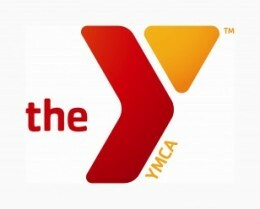 The Loewy Law Firm has donated over $20,000 to the YMCA Annual Campaign. The Austin YMCA provides families and the community with healthy living resources, sports, summer camps, and fitness programs. They encourage positive values like teamwork and wellness. We are proud to support them.